Despite traveling in batches and arriving late in Cairo, Kenya Prisons on Sunday picked crucial opening win over Ivory Coast's Asec at the ongoing Africa Women Championships in Cairo. Reigning national champions Kenya Prisons on Sunday had an easy day past Ivory Coast's Asec in their Women's Africa Volleyball Club Championships opener despite traveling in batches and arriving late in Cairo, Egypt. 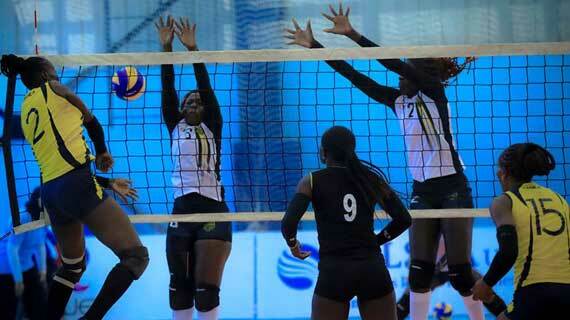 Guided by head coach Josp Barasa, Prisons hurriedly put the West Africans to their place with a straight sets beating. With inspiration from captain Brackcides Agala who returns after close to a year out of action, Prisons bagged the first set 25-12, rushed to a 25-13 in the second before hammering the last nail on Asec's case with a 25-8 triumph. The former African queens now tie with Asec on three points as GS Petroliers, Nkumba University from Uganda and Shams have two points each in Group D.
Asec gained three free points (walk over) on Saturday when Nkumba failed to show up due to flight mix-up in Entebe. Upon arrival at Ahly Hall in Cairo, the resilient Nkumba edged Shams (Egypt) in a five set thriller which ended 25-17, 21-25, 22-25, 25-11 and 8-15 donating one point to their opponents. Earlier on Day One, Shams had snatched a point from Algeria's GS Petroliers following their five-setter game which ended in favour of the latter.